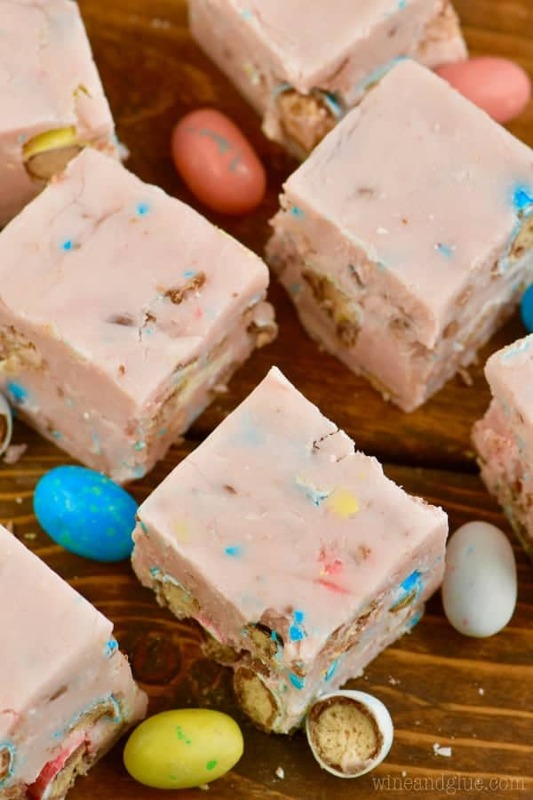 If you love whoppers you have to make this Easter Egg Fudge! 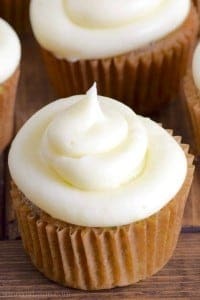 So easy, so irresistible! I decided this post needed a face lift and a video, but what I wrote originally is still here. I still love Cathy just as much now as I did in 2013 ???? Have I told you about my friend Cathy? Cathy is all sorts of awesome, but let’s just highlight a couple parts of her awesomeness. 1. She does a dead on impression of a giraffe. I would post a picture, but given that she also has a blog and a significant amount of photo evidence of her own, I’m going to just leave it up to your imagination. 2. She loves my husband. (Not in a weird way.) I read somewhere that part of having a happy marriage is having friends who will despise your husband when you are angry with them, but let it all go once you have. Cathy is awesome at this. 3. She’s an amazing mom. From the time Gavin was a little tiny baby, I have called her in my most horrible parenting moments, and she is there with a calm and empathetic ear. I’ve seen her lowest lows as a mom, and I can tell you that she is still amazing and loving with her girls. I am so lucky to have her to talk to about the craziness that motherhood brings. 4. She doesn’t hold a grudge. Once she’s done being mad about something, she’s really done. And as someone who is still seething about that time in fifth grade when one of my friends made a rude comment to me, this is something I truly admire. 5. She is just an all around amazing friend. I realize that this sounds super cheesy, but hear me out. A few years ago I planned a surprise birthday party for Cathy. It was so much fun to plan, and one of the reasons was because almost everyone RSVP’ed yes, and they all wanted to know what they could do to help. And it’s not just that Cathy befriends awesome people, it’s more that all these people love her so much that they really wanted to celebrate her, and they really wanted to help make a perfect party for her. Not everyone can say that. Not everyone would have a heard of people wanting to come and celebrate a milestone birthday party. But Cathy has been such a good friend to all these people that they couldn’t wait to celebrate her. It’s good to pick friends who are better people than you. 1. Cathy had absolutely no idea I was making this recipe. As a matter of fact, she mentioned to me that she was photographing malted milk ball fudge, but I was too busy thinking about what I need to tell her to pay attention. Oops! 2. When you read the post, I’m the jerk friend who blew the whistle on the Pyrex incident. 3. Great minds think alike. Crush the Whoppers. I used a food processor, but you could just keep them in the bag and take a rolling pin to them. Line a 9x9 pan with aluminum foil. Combine the sweetened condensed milk and white chocolate in a bowl and microwave for 2 to 3 minutes. White chocolate is sensitive, so make sure you don't cook too long. Start by cooking on the shorter end of that time frame, and add time until it is almost melted. Stir to combine. Add in the vanilla and almond. Add a drop or two of red food coloring to make it a sweet pink color. Stir in the eggs and pour into the pan. Let set several hours in refrigerator. Optional: Reserve 1/2 a cup of the crushed eggs and press it into the top of the fudge immediately after pouring. 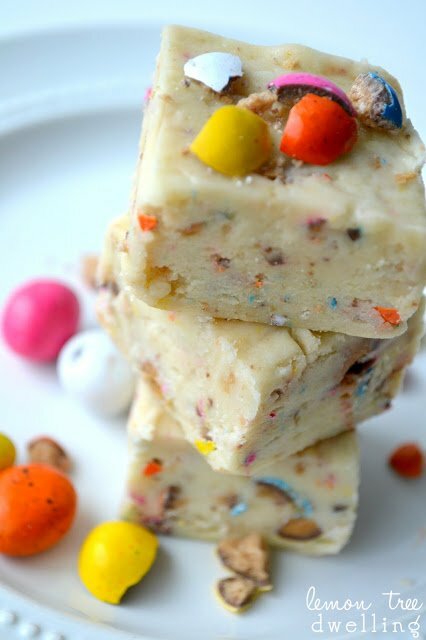 This recipe is almost entirely from Pursuit of Hippiness’ Funfetti Cake Batter Fudge. Because it’s awesome. This looks so fun. Great idea. Lisa – such a cute idea!! 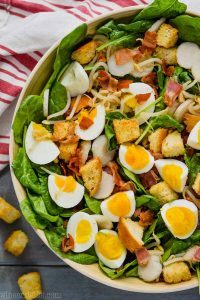 I’m pinning to my Easter board!! Ooh! Thank you for sharing!! I didn’t get any Fudge at Christmas, so what a great excuse for making up a batch. I can’t wait to taste! Why wouldn’t this work w/M&Ms? making Fudge is easy, make the basic recipe, pure chocolate chips, white chocolate etc. DO NOT USE, CHOCOLATE FLAVORED (BAKING CHIPS)) OR MELTING WAFERS AS THEY WILL NOT SET. then use your imagination to add anything that strikes your fancy, chopped nut, chopped dried fruit, small candies the possibilities are endless. ADD INS SHOULD NOT EXCEED 1 1/2 CUPS. Experiment as a recipe is not set in stone. Love the fudge idea, fudge being about the best thing I can do in the kitchen. Just a note of correction in bullet 5, the correct spelling for the contexts would be “herd”, not “heard”. I have spent too many years proofreading as you can see. I just made the fudge a few minutes ago.. It looked awesome – until I added the 3 teaspoons vanilla. It turned the pretty pink into a putrid color that looks like bloody discharge. I’m sure it will taste good, but if I ever decide to make it again, I think 1 tespoon of vanilla will have to do! If you check the spice aisle of your grocery store, you should be able to find clear vanilla extract. I know Super Target sells it, and I think Super Wal-Mart does too. Hi. I’m from South Africa and we dont have Whoppers. 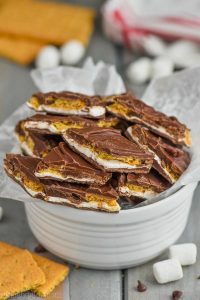 Is it a short bread biscuit with a layer of chocolate and then candy? Also how do you cut it so beautifully? What do you line dish with and do you turn in out of the dish and then only cut it? I cut mine in the dish and it does cut as neat as yours? Yeah, that’s the general idea of a whopper, only the biscuit layer is very unique and kind of airy. And it’s all in a circular form. Does that make any sense? I line my 8 by 8 glass dish with aluminum foil (with some hanging over the edges) and then pour in the contents of the fudge. I refrigerate it, pull out the foil, peal the foil off the fudge, and then cut it. I tried to make this fudge last night and it hasn’t turned out right it’s not hard and its been in the fridge all night need a help!!!! I’m so sorry Sam! There is almost nothing more frustrating for me than when a recipe doesn’t turn out. Not being there, it’s hard for me to tell you what went wrong. 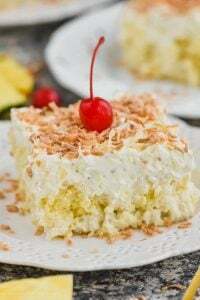 I recently had a reader let me know that different brands of sweetened condensed milk can act very differently in recipes. So, I will tell you that I almost exclusively use Eagle Brand Sweetened Condensed Milk in my fudge recipes and I never have a problem when combining it with at least 3 cups of chocolate chips. p.s. I found your post via the “Baking ChocolaTess” roundup post. Hi Jennie! 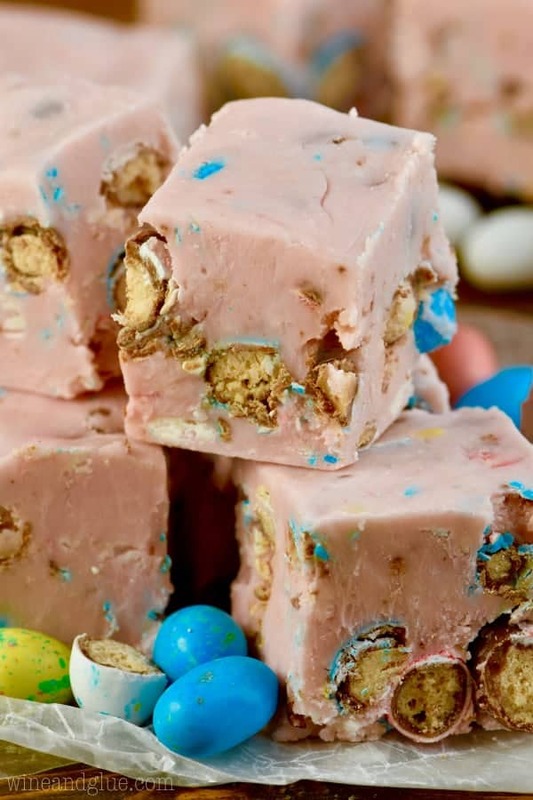 I love this fudge recipe because you can do SO many different things with it! I made this fudge yesterday and it did not come out at all. I followed the recipe exactly and used Eagle Brand milk, but the fudge was very sticky and had not set properly. I’ve tried different fudges in the past and this is the first time a recipe flopped on me. Hi Helen! I’m so sorry that this recipe didn’t work out for you. There aren’t a whole lot of things that frustrate me more than recipe fails. This recipe follows the basic recipe for fudge that I always use, and it always works for me. Without being there with you, it’s hard for me to know what went wrong. Again, I’m really sorry it didn’t work for you. Hi! Thank you so much for sharing your recipe! 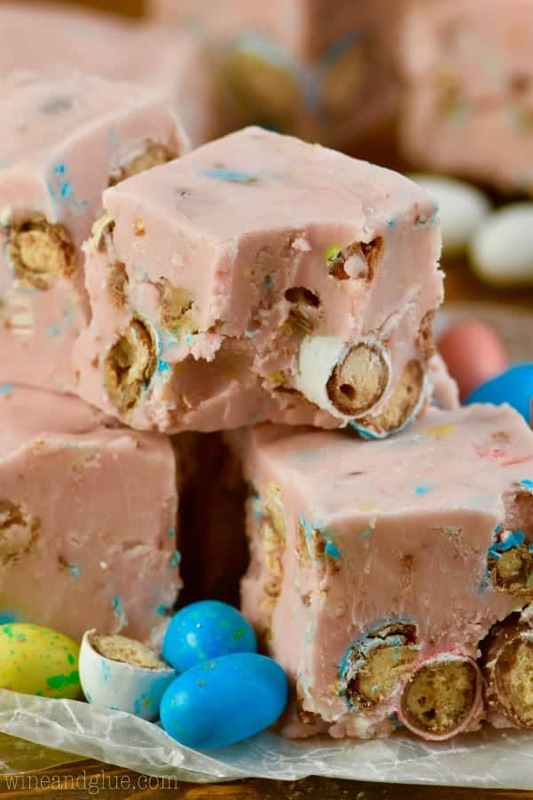 I’d love to make this for my family for Easter. They’re gonna love this! Actually, I think I will be making this more often than just for Easter! Lol! ???? Thanks Christina! And yes! Just think of all the different things we can pop in the fudge . . . ???? The fudge worked perfectly for me. I did use colorless vanilla extract as suggested and got a pretty pink fudge. It’s fun and delicious. Thanks!